Tequila Tizoc Blanco is 100% Agave and bottled directly after distillation. 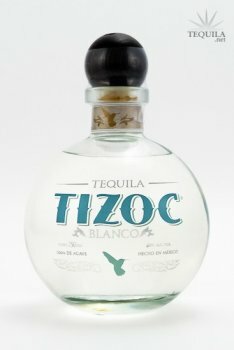 Tequila Tizoc Blanco is perfect to enjoy neat, on the rocks, or in your favorite cocktail. I'd never heard of this brand before I was fortunate enough to get my hands on a drink of it. It is only sold in Mexico, so those of you who are hoping to get your hands on some are going to have to make a trip south of the border. That's terrible...because it's damn good. 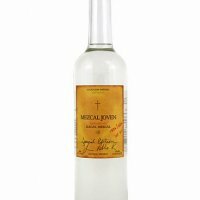 Aroma: Cooked agave, loaded with citrus and hints of grass. A great blanco nose. Initial Taste: Big agave flavor with lemon. A great entry. Body: A thicker body for a blanco. Loads of agave, citrus and a nice pepper kick. Just a hint of grass to round it out. Finish: A very smooth, medium length finish with a nice agave linger and a decent pepper kick. A very nice finish to a really good blanco. What a great blanco. Well rounded and it has great flavors that hit every part of the tongue. Really easy to drink and delicious through the whole experience. I like the globe bottle. It's says Mexican to me...and the juice inside does as well.